Keep Out! Old mines are dangerous! Whether hiking, exploring, hunting, camping, or simply just enjoying the countryside, outdoor activities are a source of enjoyment for millions of Americans each year. But outdoor recreation also requires caution -- especially near abandoned mines. No one knows the exact number or location of all abandoned surface and underground coal mines in this country. But experts do know that hundreds are scattered across the American countryside, primarily in the eastern coal-producing states, such as Pennsylvania, West Virginia, Virginia, and Kentucky. In western states like Colorado, Arizona, Montana, and Utah there are also abandoned "hard-rock" non-coal mines that pose additional dangers. 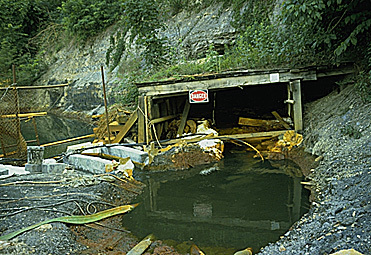 Hazardous abandoned mine problems include open shafts and horizontal openings resulting from underground mining and unstable vertical cliff-like highwalls, dangerous water bodies, rusting machinery, and defective explosives from surface mines. Many of these hazards are the result of mining that occurred many years ago -- some before the turn of the century. 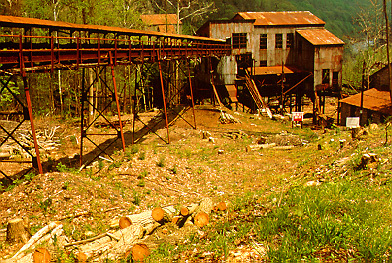 There is nothing of value left in abandoned mines; that's why they were abandoned. 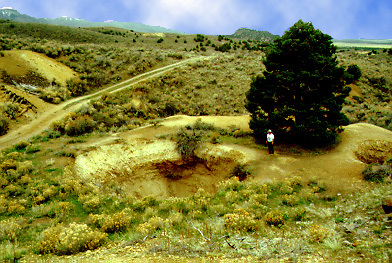 Federal and state reclamation agencies are working to reclaim abandoned mines. But there are so many of them left that it is vital to know about abandoned mine dangers and stay away from them. 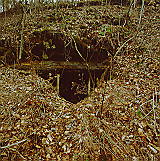 Abandoned mine shafts may be fairly easy to see if they are large, or they may be obscured by years of vegetative overgrowth. They may be covered by decayed and rotted boards that will give way under the slightest weight, or they may be a combination of all these. 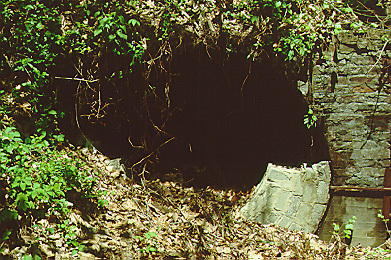 Abandoned horizontal mine openings lead into underground tunnels that are prone to collapse. They may seem safe to explore, but can contain many hazards -- rotten roof support beams, deadly gases, poisonous snakes, vertical shafts deep within the tunnels, and flooded sections. 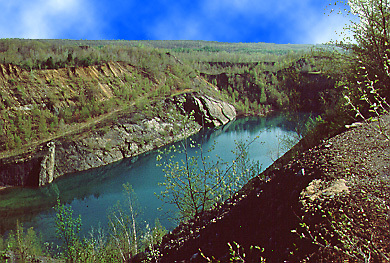 Abandoned surface mines also contain dangers. 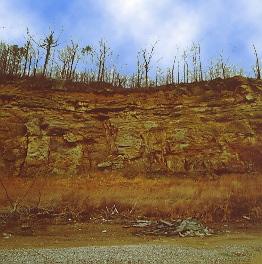 Many of the steep embankments and high walls are very unstable and will give way under the weight of a person. 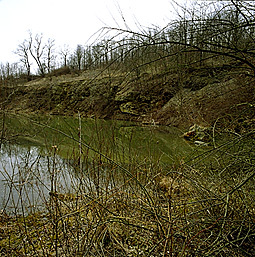 In addition, water bodies may look like desirable swimming holes or ice skating ponds; however, they frequently hide steep slippery sides that can present a life-threatening danger. 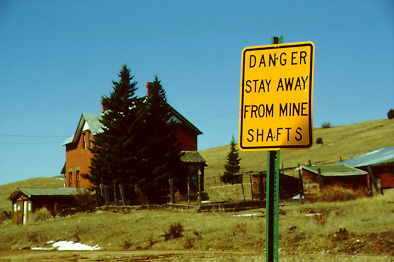 Regardless of the type of mine, remember to stay away if you spot what appears to be an abandoned mine. It could be dangerous. And if you are in an area where coal has been mined, watch where you are going. You may stumble across an abandoned mine when you least expect it. So, be alert! 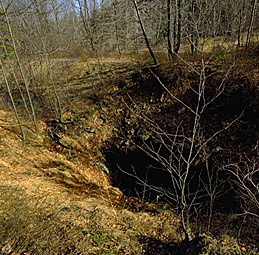 Don't go looking for abandoned mines, but if you find what you think is an abandoned mine shaft, tunnel, or other danger, mark the location so it can be easily spotted. Be careful not to go too close. Then report what you found to the nearest location of the Office of Surface Mining, or contact your state mining reclamation office. Be prepared to describe the approximate location, identifying landmarks, nearby trails, or other characteristics that will help authorities locate the mine. Reporting the location of abandoned mines is a public service. You will be protecting others from danger, and helping America maintain and improve the environment. 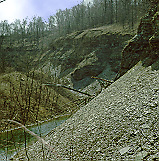 For additional information about abandoned mine land reclamation contact the Office of Surface Mining or the nearest state reclamation office. Stay Out of Abandoned Buildings! Floors and stairwells may collapse. You might fall into a basement or, worse, a mine shaft that is under the building. Building walls and ceilings could collapse. There is a danger of electrocution from wires and cables in or near the building. 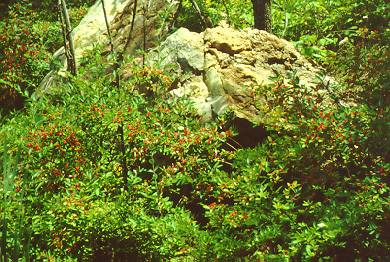 Robert from MSHA Talk was kind enough to add a link from his web site, www.mshatalk.com, to this page on the Coalwood web site. To quote Robert, "We are a bunch of old guys, about 1700+ that deal with MSHA and OSHA regulations, and articles, etc. Non profit." Readers will enjoy Robert's site; it's full of interesting articles and photos about workplace safety.